Sellers are in constant competition for buyers’ attention. 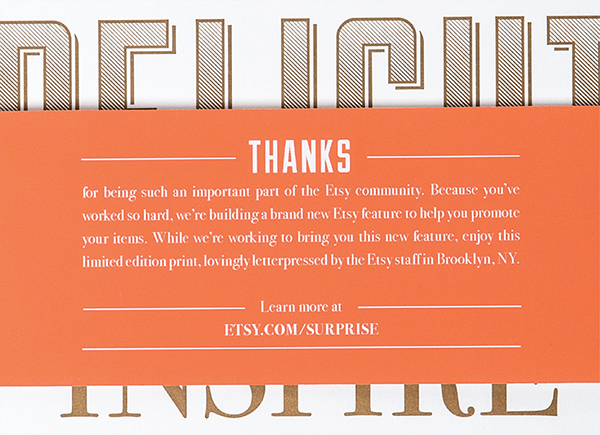 In the early years, when Etsy’s marketplace was much smaller, search results were sorted by “Most Recent.” This was a great way for buyers to discover items that had been added since they last searched; however, over time, this sorting system revealed a hidden weakness in our product experience. 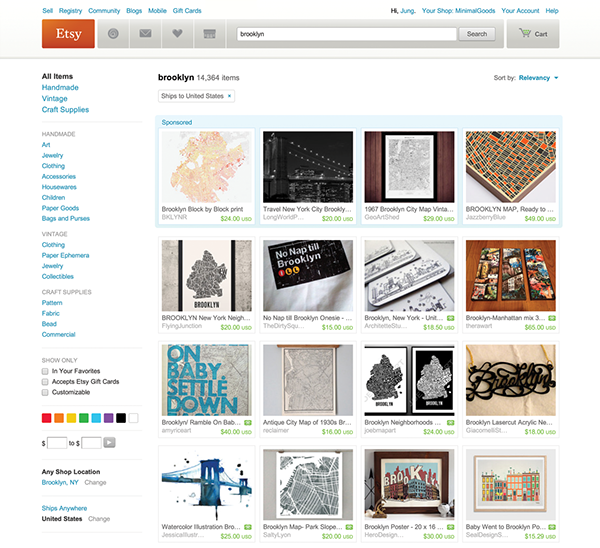 Fast-forward seven years: Etsy’s marketplace has more sellers and even more listings. 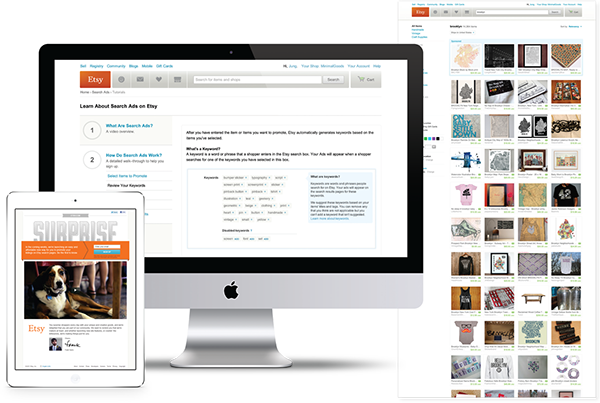 The “Most Recent” system is no longer an effective way for buyers to discover items; buyers need to get results for items that are relevant to their search query. And “Most Recent” presented an additional glitch in the system: Savvy sellers learned they could prematurely “relist” their items (which we would charge them to do) and bump their listings to the top of search results–essentially creating an unofficial advertising platform for themselves. We had to shift search results from recency to relevancy to give buyers an accurate search experience. This also meant that we had to remove our sellers’ “advertising solution,” and eliminate the revenue we received from their relisted items. Our solution: The development and launch of Search Ads, a paid-promotion product based on automated keyword bidding. But the challenge didn’t end at revising the product experience; we had to make sure sellers were aware of Search Ads, and more importantly, interested in purchasing them. 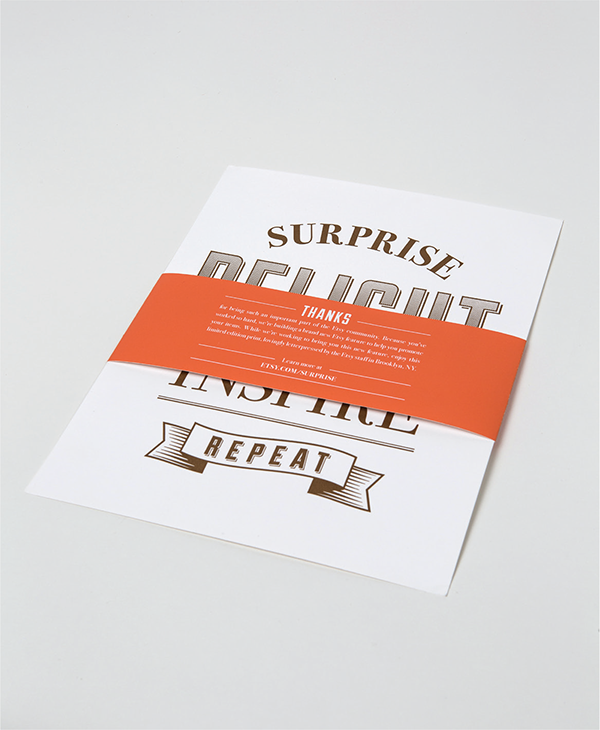 So we designed a personal experience that landed in top-advertising sellers’ mailboxes: A surprise gift that educated them about the benefits of Search Ads and inspired them to take part. 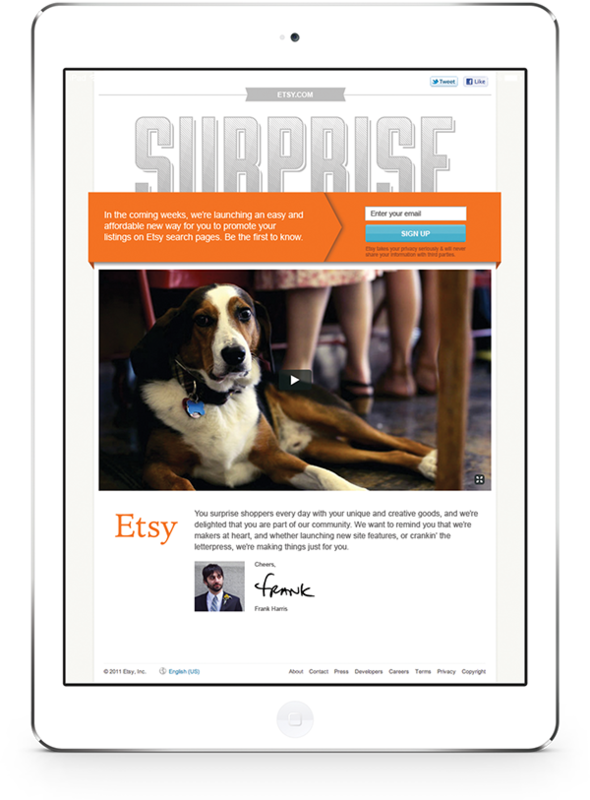 A large, cross-functional team managed to phase out one revenue stream and replace it with an even larger one–and we did this while aligning the interests of buyers, sellers, and Etsy. It’s an exemplary project that illustrates our ability to address short-term challenges and design a product that delivers greater, long-term benefits.